The faculty, staff, and students of the University of Maryland-College Park put on an excellent event again for Maryland Day 2013. We had a great time walking through the campus on a beautiful Spring day and enjoying the many informative (and entertaining) exhibits. 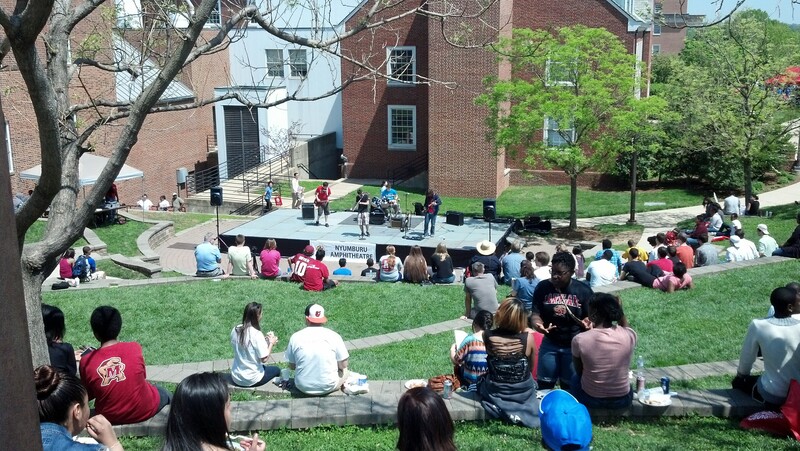 The band Bluebeard entertains the crowd at the Nyumburu Amphitheater. 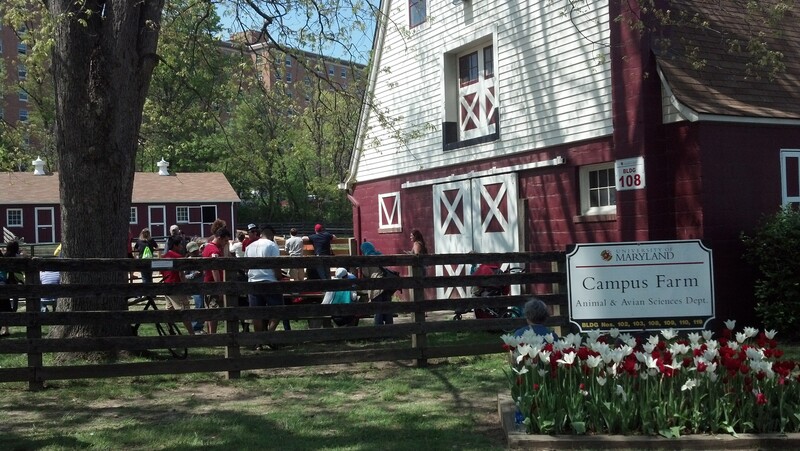 Kids and their parents alike loved the animals on the Campus Farm. Baltimore Sun reporter Scott Dance wrote an article about the horses on the farm, and the recent birth of the first foal in 30 years. 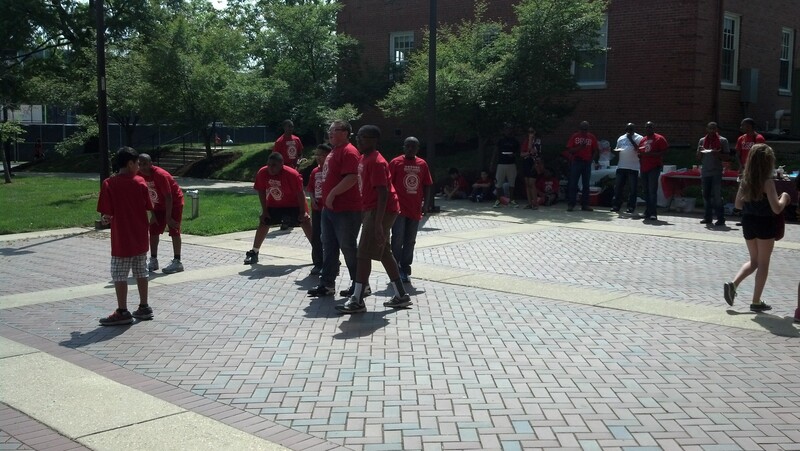 Future Terps toss the football around as onlookers sample barbecue. 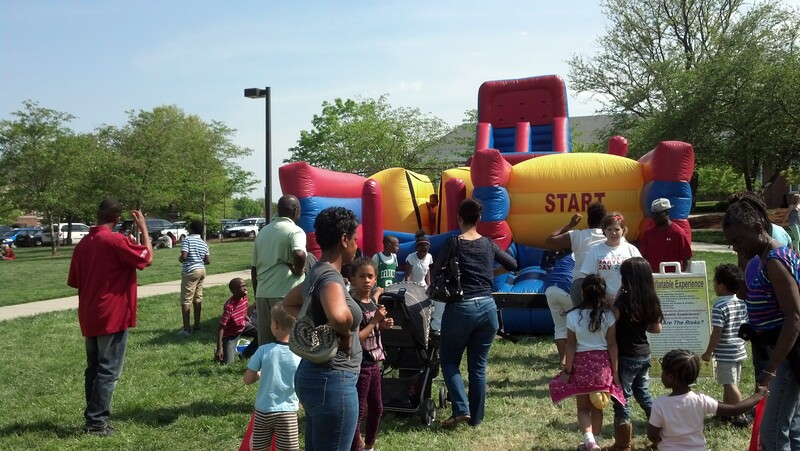 Even younger guests line up for the bouncy castle and slide.